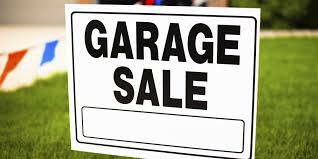 The author of Almost Free Money and Etsy Empire provides a countdown list of the Top 10 Money Making Garage Sale Items for garage sale shoppers and investors to look for and how to sell them on the internet. We have shopped at thousands of garage sales, and sold over 12,000 garage sale finds on Amazon, Etsy and eBay. I am always amazed by the amount and quality of scrap metal that you can find at garage sales and yard sales! You just have to know what to look for. We provide an excellent tutorial on making money on scrap metal from garage sales, and another page on finding high profit scrap metal on our website. Scrap metal is great, because it has instant value, you don’t have to worry about whether it will sell on eBay, and it is quick, easy cash in your pocket. You can also disassemble stuff other people think is junk and sell the components on eBay. This is another often overlooked area of excellent profits. Almost ANYTHING that is new and sealed in the original packaging will bring double or triple the value of the same item that is even lightly used. Even vintage items that are sealed can be sold as new. Media items like CD’s, Movies, and Video Games are often found still sealed, and they sell like hotcakes. Almost anything with a bar code can easily be listed and sold on Amazon without a listing fee. We provide guidance on selling and shipping items on Amazon. Even experienced internet sellers often overlook vintage electronics in regard to their resale potential. This really is my specialty. I have made a ton of money by selling vintage electronics, especially audio items and vintage computers. Why are these items so valuable? It is not just the resale of the whole units that make this niche so easy to make money on. Many collectors enjoy reconstructing these units or pimping out home-made systems with vintage components, which have unique properties that current electronics cannot reconstruct. Even broken electronics can be parted out for excellent money. Not only that, but vintage electronics contain a significant amount of high profit scrap metal like gold and silver in their contacts. 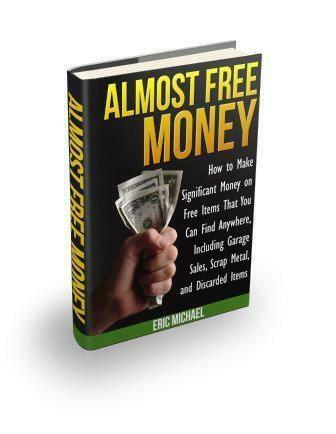 Almost Free Money has several chapters that readers have been raving about and we also have a webpage devoted to teaching folks how to make money from Vintage Electronics. If I were looking to specialize in only one niche, it may be used tools. I prefer the variety of selling a variety of items, so I will offer this one to y’all. Used tools can be found in abundance at yard sales and estate sales, and people buy a LOT of used tools, especially power tools. They are often very modestly priced at garage sales, as well. You can make excellent profits selling used power tools, and not a lot of people realize that you can sell them on Amazon (where you can make more money than on eBay, without paying for listing fees). You can also make a lot of money selling power tool accessories like rechargeable batteries, chargers, and bits. There is an excellent opportunity in reconditioning and recycling batteries, at profits of up to $50-60 each. You can find batteries for free in broken power tools and often people will just give them to you. What do you have to lose?! I have made good money by selling used CDs that I found at garage sales. CDs are plentiful at garage sales, and they are quick and easy to sell on Amazon. I can list a box of CDs in about twenty minutes. CDs are also easy to store and ship. They are also often found in “Free” boxes at yard sales. However, CDs are quickly being phased out by the MP3 format. Many people are selling their CDs as they transfer over to MP3s, so prices have come down on the internet. Still, there is a robust market for CDs, especially in some niches. Selling used records is also profitable. There are more collectors of records than CDs, and collecting records is even more popular in Asia than in the U.S.
We have a number of webpages that can help you locate profitable used music to sell, and we can teach you how to make the most money with garage sale CDs and other music recordings. Yes, this stuff CAN be found at garage sales. I have found 24K gold jewelry mixed in with costume jewelry, sterling silver for $1, and I have even discovered gold and silver in free boxes! Do your research so you can learn to ID precious metals, when they are mixed in with other items, and learn how to figure out value of gold items, in particular. At $1800 a troy ounce, you do not have to find much gold to make an excellent profit. Our Gold and Silver page has many tips on finding gold at garage sales and also has many links to the top experts in the field. There is used clothing at almost every garage sale and yard sale that you will visit. Often, you can get quality used items for $1, or under. There are a lot of items that can be resold for consistent cash. Garage sale investors can also find some excellent vintage collectible clothing at senior citizens’ garage sales. I still think that this is going to be a goldmine very soon. Not only do people collect vintage clothing like jeans, jackets, suits, shoes, and hats, vintage styles are also getting extremely popular among fashion-conscious jet-setters. This is especially true overseas. Before the eBay explosion in the mid-1990s, vintage collectibles were the #1 niche, in terms of resale profits from garage sales and yard sales. In the 90s, it was common to find rare collectibles and resell them for high profit margins. Now, an abundance of internet sellers and increased awareness by the general public about the value of many collectibles has driven the profit margins on collectibles down considerably. Still, there is good money to be made on a wide array of collectibles. 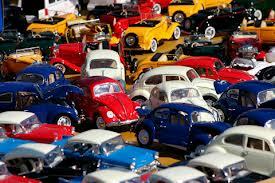 The most important tool a garage sale shopper has is their knowledge of collectibles. If you are interested in selling in this competitive selling niche, you HAVE to do your research. Know how to ID collectible items, and be familiar with what is selling well on eBay. Look at eBay Completed Listings and make notes, so that you know what to look for. There are hundreds of niches for collectors, and there are many fun and interesting collectibles that you can resell on eBay. The question is not “What is collectible?”, it is “What is collectible and valuable?” If anybody ever thought something was cool, it is probably collected. It’s just a matter of determining if the items will bring you enough profit to buy them at a garage sale. Used video games is probably the hottest internet selling niche right now. Experts predict that the video game market will double again over the next 10 years. Finding used video games and consoles at garage sales is common. Gamers are constantly upgrading systems and discarding their beaten games. Who sells these video games at garage sales? Yep… you guessed it… Moms and Grandmas. They do not know the value of vintage video games, which are sizzling hot among video game collectors now, especially Atari 2600, Nintendo NES, original Gameboy systems, and ColecoVision). Even if consoles are often overpriced at garage sales, the games, controllers, and other accessories are often woefully under-priced. You can also “steal” consoles that are missing cords, or have minor repair issues. Video games have the highest resale percentage of the Top 10 niches on this countdown, and are probably the fastest selling used items on Amazon. Games, consoles, and accessories can all be listed quickly on Amazon. Video games take up very little storage area, and they are easy to ship. Games can be found at many garage sales for $1, or under, and I have even found many video games in FREE boxes! Our Selling Used Video Games webpage is one of our hottest pages. Used Books takes the top spot because of their versatility, availability, and potential for huge profits. You are more likely to find a big score with a rare book, collectible 1st edition, or signed book than you are with any other category of items in this countdown. You can also use your smartphone and a price check application, so that you know exactly what you can make on books, before you even buy them. Profitable books are readily available at most garage sales and yard sales, and you WILL find $50-100 books regularly, once you start buying them. Books are easy to store on bookshelves, and listing books on Amazon and packaging and shipping books is a very efficient process. We discuss how to locate the best books to sell on the internet, and how to get the most profits on each book on our Selling Used Books page. We hope you enjoyed our top 10 money making garage sale items. Now get out there and start garage sale shopping!